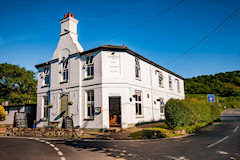 This lovely country pub in the heart of the Isle of Wight is now offering first class luxury bed and breakfast accommodation. 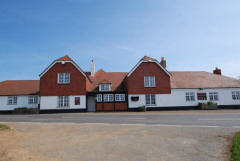 The Chequers is proud of its reputation for good food and and fine ales. 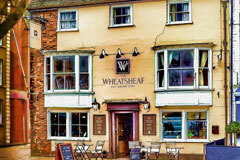 It is included in the CAMRA 2010 Good Beer Guide. Nearby are miles of unspoilt footpaths to enjoy; just ask at the bar for a map of a suggested walk. 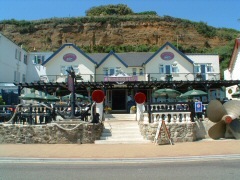 The Steamer Inn stands in one of the finest waterside locations on the Isle of Wight. With panoramic views across the English Channel and a superb, safe, sandy beach just a pebble's throw away, you would be hard pressed to find a better base for a holiday on the Island. Originally a coaching inn dating back to the 17th century; The Wheatsheaf Hotel is situated in the centre of Newport on the beautiful Isle Of Wight & is currently receiving a much needed touch of TLC. It boasts beautiful original features, traditional top-notch dining experiences for breakfast, lunch & dinner, with quirky & cosy rooms & a very warm welcome.